Here a short presentation I gave recently (in french) that will make happy Agile UX practitionners. Personas in Agile Development: YES we can ! this is what I’ve been told by a client the last time I used the Personas method on an IT project. 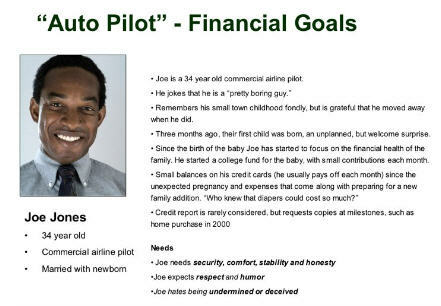 More than a simple artifact or a one-page description, the Personas method is a user centered design technique, initiated by Alan Cooper in 1999. It provides a team with a common and shared VISION of the users of a service or product, in a very engaging format. Why personas are relevant in Agile contexts? 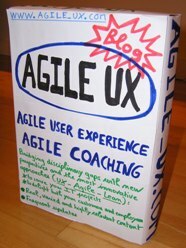 In agile projects, Personas should be seen as a fantastic tool in the hands of a Product Owner team (composed by the Product Owner, a User Experience specialist, a Business Analyst…) to align the cross-functional team (dev, test …) to a shared and realistic vision of the users of the product to develop. Personas provide you with the opportunity to integrate real User Experience all along your product development project. Another major benefit is that a specific persona can be easily linked to user stories. 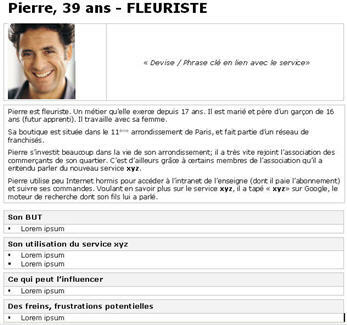 The « user voice format » is a good opportunity to place the personas under the spotlight. It makes your user stories more credible, more engaging. It also facilitates CONVERSATION and CONFIRMATION activities associated to each user story. Personas are a powerful communication tool within and outside of the team. 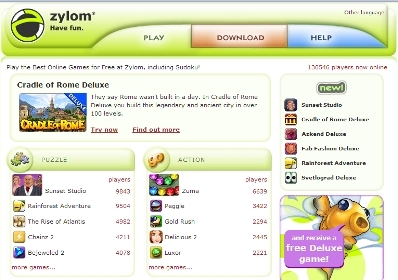 They can be used at the organization level for training, commerce or marketing activities. 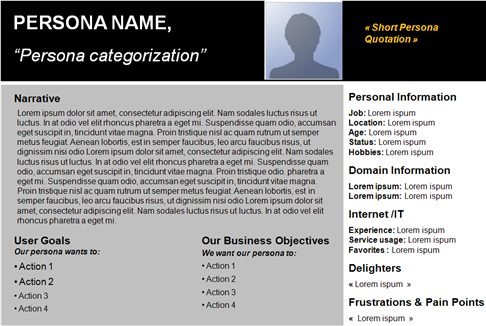 Personas are ready when you start the project ; just use them !. User research was done previously, and personas are already a key element of the product vision. No need to construct them, but the Product Owner has to introduce the personas to the team when he communicates the Vision. One of the benefits of the personas is that it makes this description easier, both visual and based on storytelling. Based on that knowledge, Elevator Pitch or Product Vision exercises will be more effective with the team. Then during the sprints, personas are associated to user stories, and help guide decisions on the Product Backlog priorization and UI design. Crucial, don’t you think ? Two personas (Maria and Sophia, whose main goals are to play online, download games to play offline and get help if they need it) and their impact on UI Design in terms of color, shape, size, positioning of elements, layout and navigation menu structure. I usually ask the team to include Personas on the Information radiator. It is an important communication act both from an internal and external perspective. Personas don’t exist when the project starts. Sprint / Iteration 0 is the perfect moment to initiate our « 3 steps » process, of course in a collaborative way. This exploration sprint usually lasts from one to four weeks, depending on context. Unfortunately a short timebox (one week for example) is a real difficulty especially for organizing workshops and planning user interviews. You’ll need to anticipate or to refine …. Given availability issues, various impediments … « 8 user interviews a week » is usually a maximum (actually it’s mine), but it gives you the opportunity to facilitate preparation workshops and to do quick stakeholders interviews in parallel. Collecting data from various sources including user interviews. According to me, 3 interviews by roles or categories identified is a minimum. 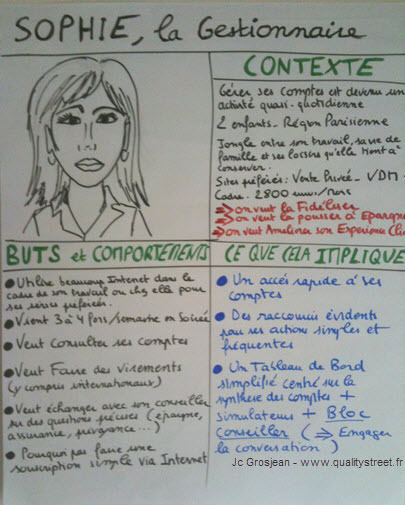 Giving birth to the personas (storytelling and Poster) : I initiate the work (based on a template and data analysis) but I like doing this task in one or two workshops (this time with the entire team, development included). It’s fun and fosters the appropriation process. Validating personas with various stakeholders (a qualitative validation); I only did one time quantitative validation with a large questionnaire sent to hundreds of users. Be careful on the choice of the photo: avoid celebrities, models or people you may know. remain credible. Don’t hesitate to communicate on your Personas: make a buzz !